UK - Southend-on-Sea Leisure and Tennis Centre in Essex boasts a large range of facilities including a 150 station fitness suite, 25m swimming pool, world class diving pool with 10m diving board, teaching pool, eight court sports hall, two court sports hall, dry dive gym, four indoor tennis courts, four outdoor tennis courts and an athletics track. 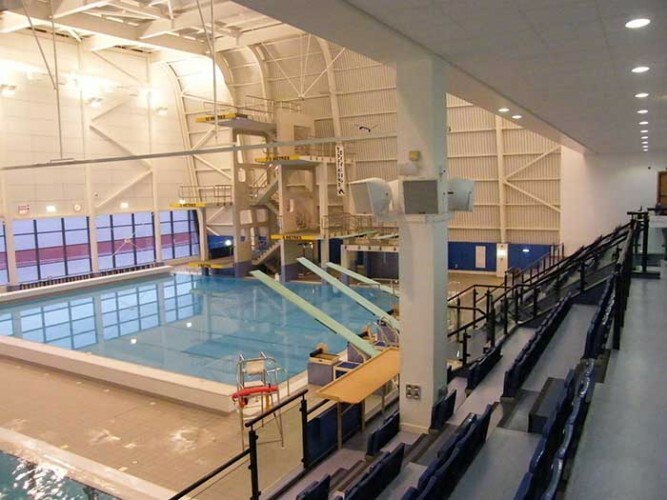 Hosting a wide range of galas, aqua aerobics and teaching instruction, the centre needed a high intelligibility sound system for the highly reverberant diving area and they commissioned audio specialists Soundtrack (Audio Visual) Ltd to design and install it. 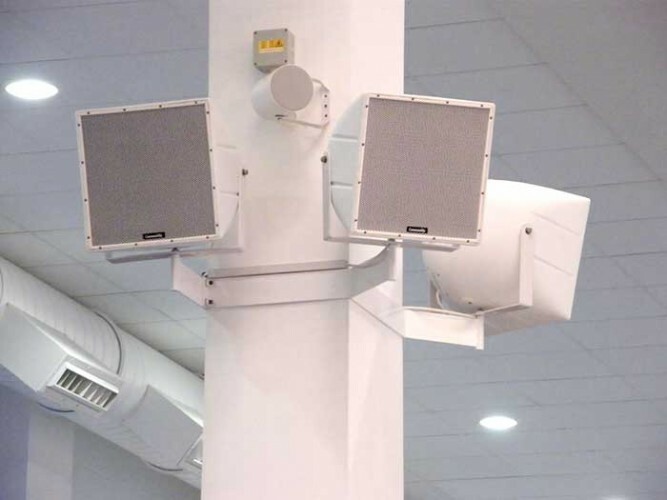 Having previously used Community R-Series loudspeakers, Soundtrack knew they would ideally meet the need for moisture resistance and durability and provide the vocal intelligibility required. The well-defined dispersion was also critical in directing the sound accurately to the areas required, whilst avoiding adjacent reflective surfaces. Soundtrack designed a single point source system using four Community R.5 loudspeakers. The configuration covers all of the required areas with no delays in sound paths. The chosen position for the cluster was also ideal, located between the main pool and the diving pool and between the two areas of gallery seating for the public. The operators of the Leisure Centre, Legacy Leisure, required the system to blend with the aesthetics of the modern pool complex so Soundtrack commissioned custom white column clamps on which to mount the four R.5 loudspeakers, which were supplied in standard white. Soundtrack was also able to plan concealed routing for the cable from the amplifier to the loudspeakers, ensuring a very clean installation. Each of the four loudspeakers is driven by one amplifier channel so levels can be set according to the demands of the event. 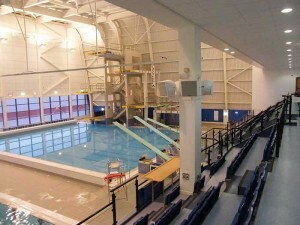 This could range from one loudspeaker only for the diving pool, to all four being used for a gala with public seating. A Sennheiser wireless microphone system with headband mic plus CD and MP3 audio sources were also installed with a Cloud CX261 mixer and a pair of 2-channel Peavey IPR1600 amplifiers. The system is designed for ease of use, with a minimum number of controls for the variety of operators.